The Warringah Triathlon Club Coaching Alliance includes members of the club who have a Level 1 Triathlon Coaching Certificate or are in the process of completing. The team have workshopped a number of structured training opportunities for swim, bike, run and transition/bike skills, for members to grow and develop in the sport in a safe and social training environment. WTC Coaching Alliance offer mentoring and coaching support for members, please feel welcome to contact us for guidance. If you have an interest in triathlon coaching and keen to become a part of the Warringah Triathlon Club Coaching Alliance, please refer to the Tri NSW website under 'Coaching' HERE and contact either Mick Smith, Andy Kean or Symon Astley. Trained & worked under many experienced coaches & Pro Athletes including Pete Jacobs, Grant Giles, Maureen Cummings & Mike Lawson. Diploma (TAFE) Health Science, Massage Therapy. Post Graduate Trigger Point Therapy. Coaching approach: I love Brett Sutton’s approach. Triathlete’s tend to over complicate things. His philosophy is about the KISS principal. Keep It Simple Stupid. 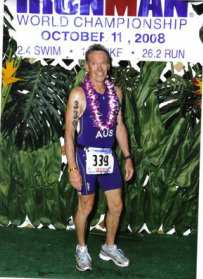 The Master of all things in Sport Science, Ph.D. in Exercise Physiology, BA (Honours) Human Movement, BA in Sport and Exercise Management, University Lecturer at ACPE & UTS, Level 1 Triathlon Coach, Triathlon NSW Coaching Organiser and Open Level Triathlete. Personal achievements: 7 IMs, 9 Half IMs, a couple of Olympic & Sprint.